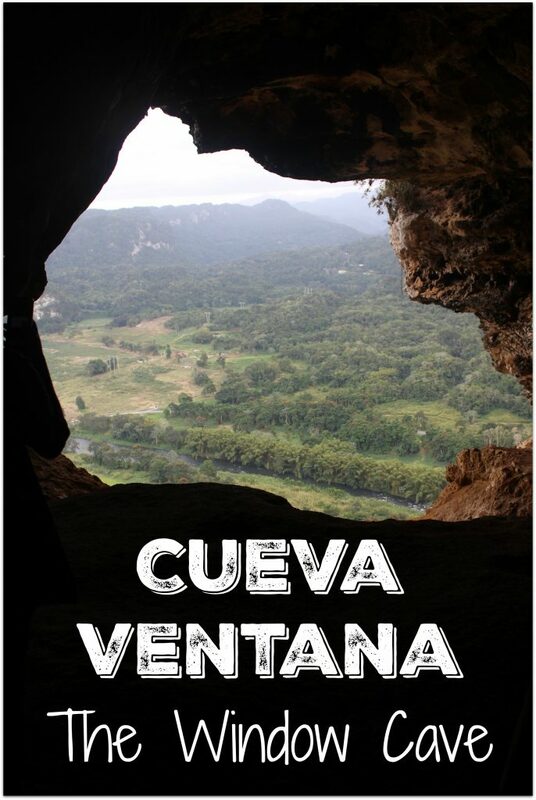 Breathtaking Cueva Ventana, The Window Cave, is a beautiful natural cavern found in the cliffs of Arecibo, Puerto Rico. 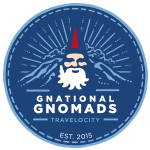 We were so excited to be able to visit as it had been on our list for some time. 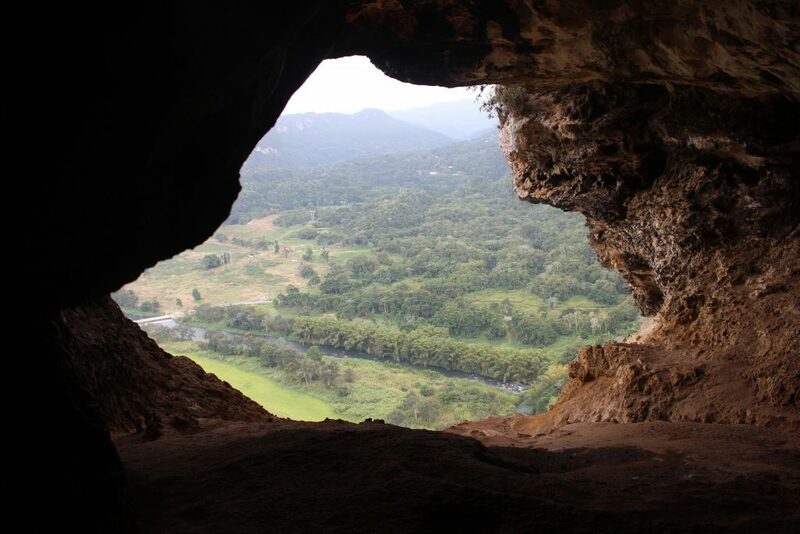 Cueva Ventana is the only natural cave to be certified by Puerto Rico’s Department of Tourism and is a popular attraction for both visitors and locals. 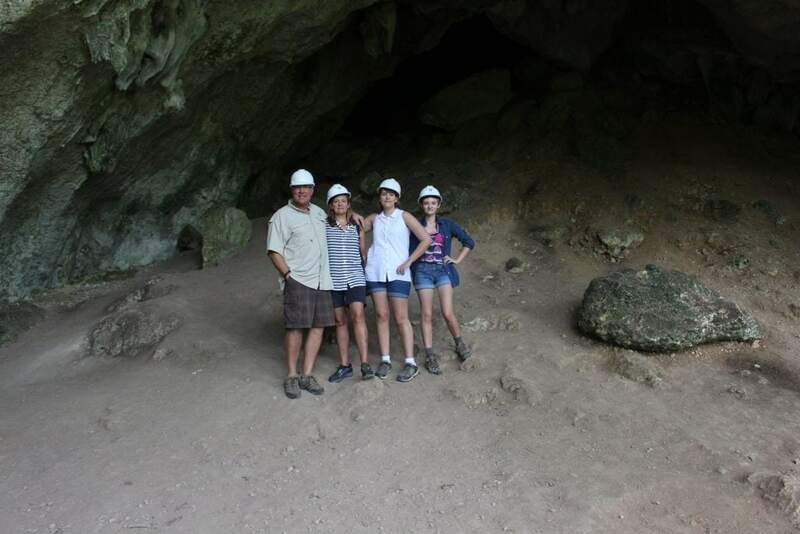 In fact, during our tour, we were the only non-locals there. It just goes to show you how authentic this experience is. 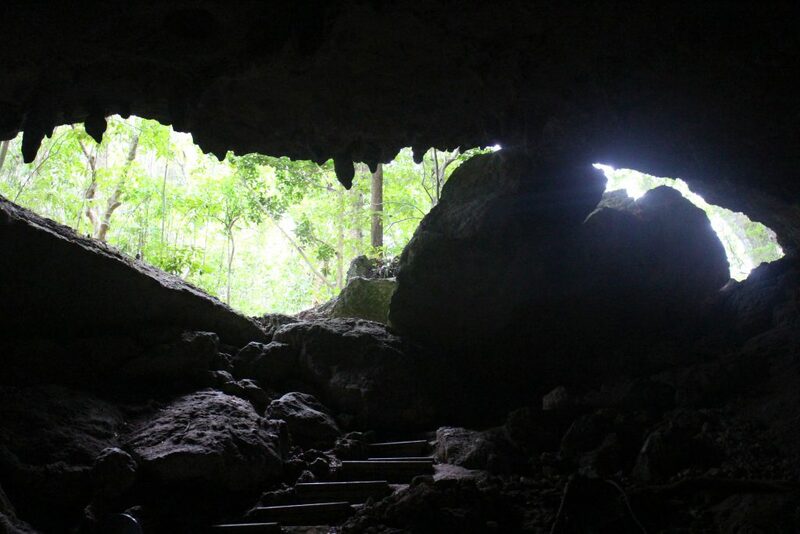 The cave is rich with history, as it was used as a shelter by the native Taíno people many years ago. And if your kids are interested, Disney’s Wizards of Waverly Place: The Movie was shot there, along with numerous other shows and films. 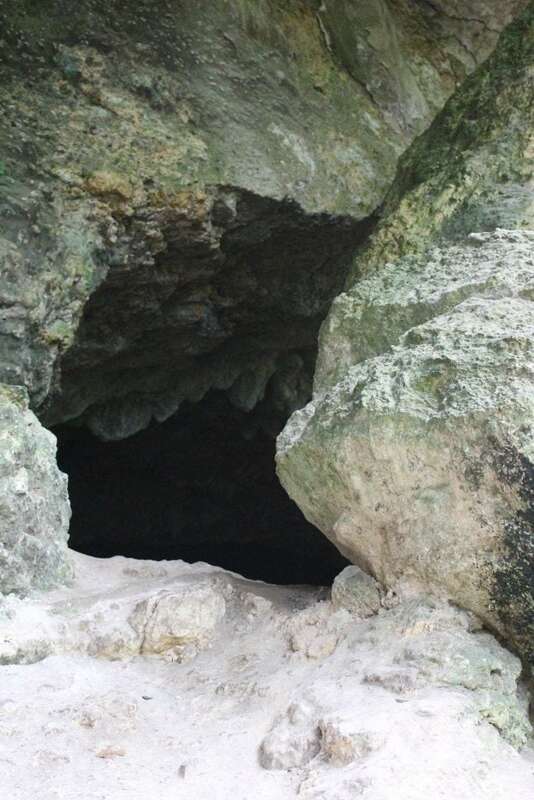 This is activity does require a moderate fitness level as there are some steep climbs and slippery rocks, so small children or elderly visitors may have trouble getting down into the cave. Children under five are not permitted. You’ll be armed with helmets and flashlights, but there will be some very dark areas, so make sure to watch your step and pay attention to your guide. I really never felt I was in danger or couldn’t make the climb. That’s a decision you’ll have to make for yourself when you see the cave. If you want to avoid the crowds, go during the week, early in the morning. 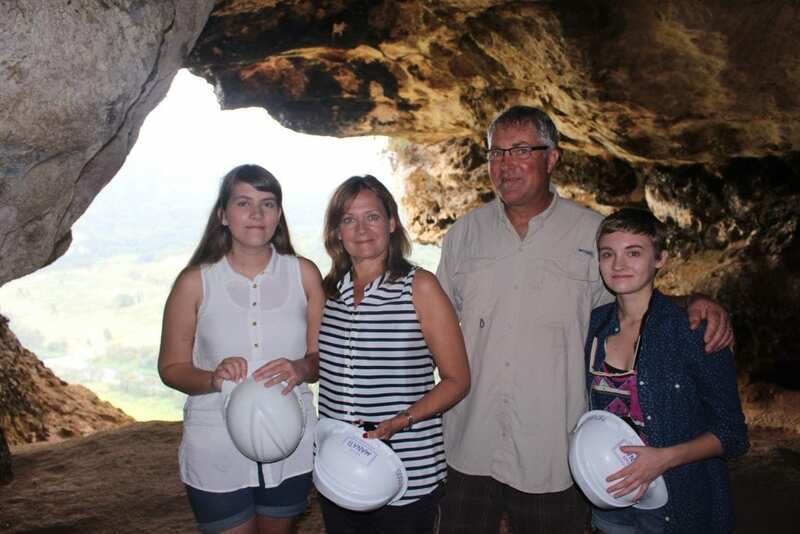 The tour buses visit the cave on the weekends, and the trek is much more enjoyable in smaller groups. 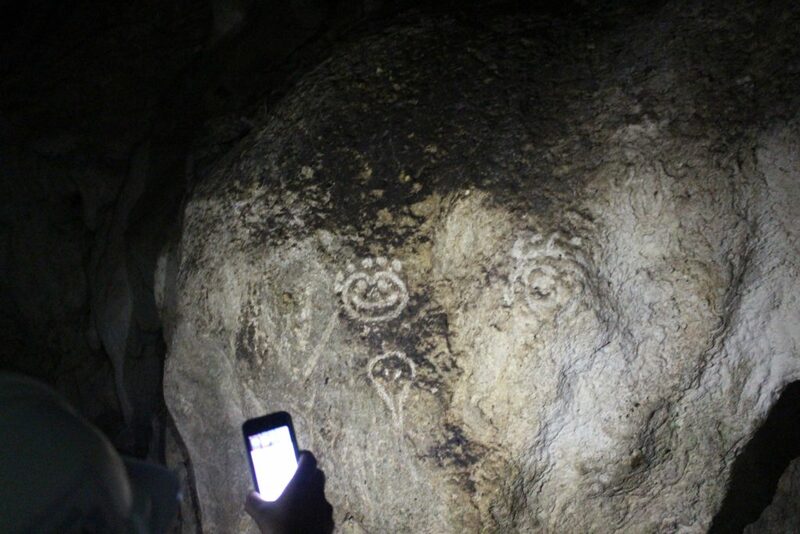 During the trek you pass through a smaller cave to see some petroglyphs, which were left in the cave by the Taíno people. before you reach the real attraction, the Window Cave. 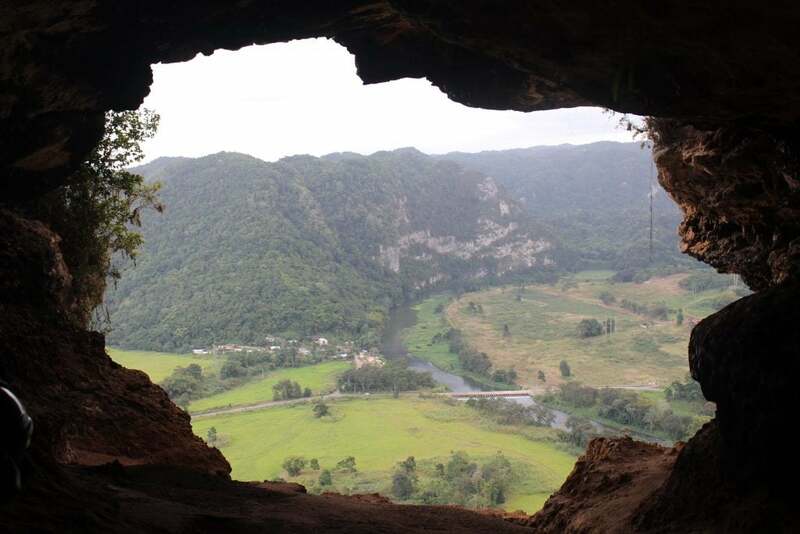 As soon as you step out of the darkness, you’ll be greeted with a spectacular view the Rio Grande de Arecibo valley, with the Caribbean sea in the far distance. The window itself is approximately seven hundred feet above the valley, so you may want to opt out going to the edge if you have a fear of heights. 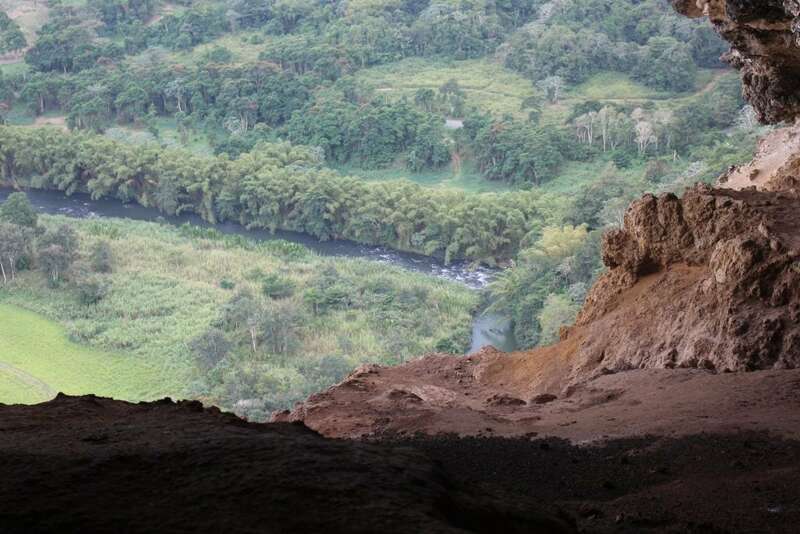 That being said, Cueva Ventana is truly a view to remember, and pictures really don’t do it justice. If you’re planning on vacationing in Puerto Rico, definitely make sure this is on your to-do list. We loved this photo so much we used it as our Christmas card! Definitely take a camera, but be sure it is in a case you can easily carry on the climb. We were glad our guide was willing to take a few photos. Hotel pick up is available at 10:30 am for most San Juan hotels, however, this excludes the St Regis Bahia beach Resort, Wyndham Grand Rio Mar Beach Resort & Spa, Gran Melia Golf Resort and El Conquistador Resort. 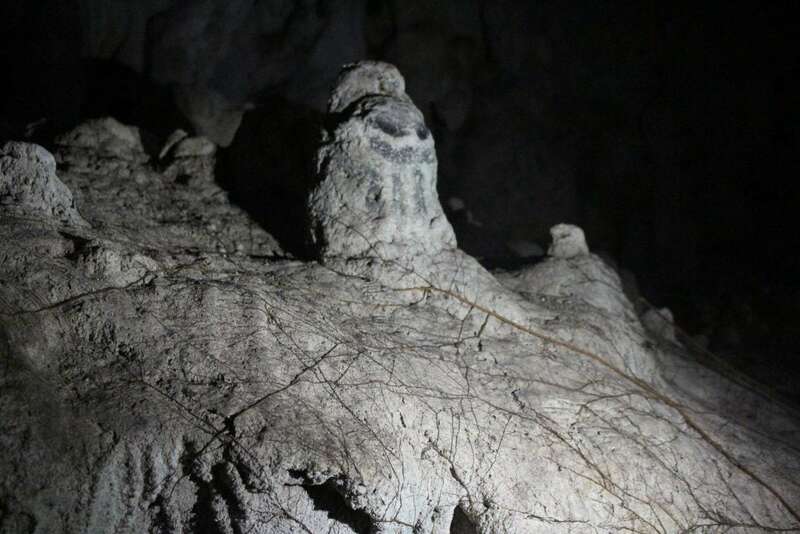 The Cueva Ventana website has more information. 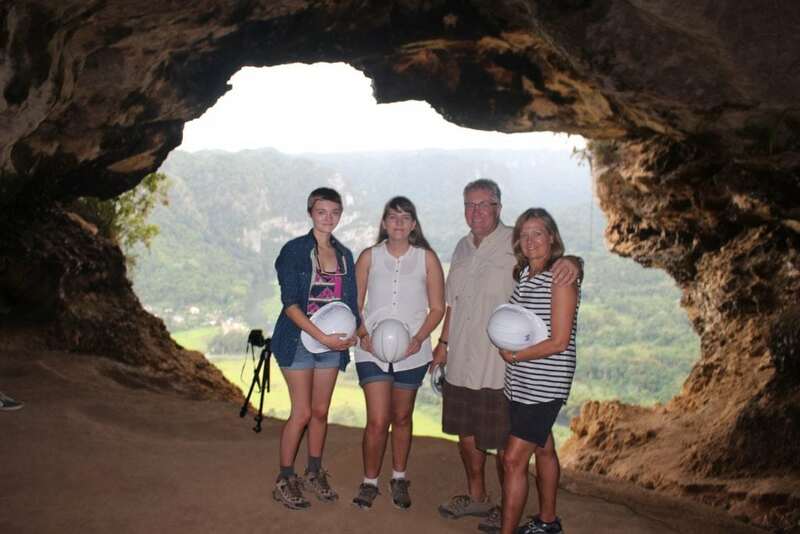 Make time to see the Arecibo Observatory, the National Astronomy and Ionosphere Center. It was under construction the last time we were there, and I’ve heard it’s a must see. If you’re looking for a wonderful hotel, check out the El Conquistador Resort in Fajardo. We stayed there on our first visit to Puerto Rico. 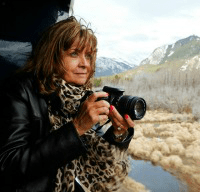 There is so much to do and it’s very family friendly. The kids will love the attached Coqui Water Park, too. Have you been to Puerto Rico? What was your favorite find? I’d love to check it out when we go back. It really does look like a window cave, absolutely breathtaking and one for my bucket list. It was amazing Carl! Thanks for visiting and taking the time to comment!